We work hard but also play hard. Our annual Rafting Trip was a big success and we had fun team building and playing on the American River. Click on photo to see more pictures. 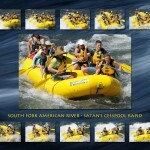 Footage from Stonecrest Financial’s Annual Rafting Trip for employees and associates. Had an amazing day team building on the American River.